Explore Brisbane's surroundings by going to Surfers Paradise (SkyPoint Observation Deck, Infinity Attraction, & more), Warner Bros. Movie World (in Oxenford) and Sea World Theme Park (in Main Beach). Pack the 11th (Wed) with family-friendly diversions at Dreamworld. There's lots more to do: let little ones run wild at South Bank Parklands, look for all kinds of wild species at Lone Pine Koala Sanctuary, explore and take pictures at Brisbane Botanic Gardens Mt. Coot-tha, and have some family-friendly fun at SunJet Simulations. 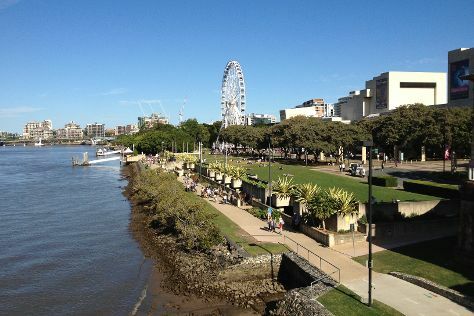 To see ratings, other places to visit, and more tourist information, read Brisbane online trip planner . In March, daily temperatures in Brisbane can reach 32°C, while at night they dip to 23°C. Finish your sightseeing early on the 11th (Wed) to allow enough time to travel back home.